Conjure up legendary rock sounds with the Darkglass Electronics Vintage Microtubes bass preamp pedal. The bass players here at Sweetwater have used the Vintage Microtubes to craft warm, tube-like tones that not only sound natural, they actually feel that way, too. Playing through the Vintage Microtubes yields an organic compression reminiscent of classic tube amplifiers and old-school tape machines. 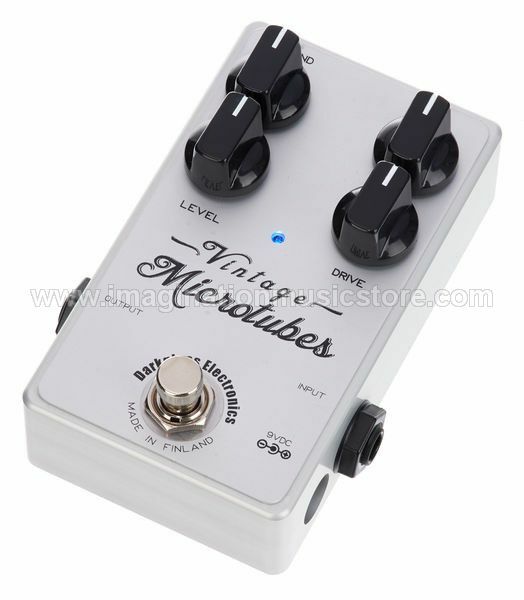 Level, Drive, and Blend knobs dial in and fine-tune the Vintage Microtubes's clean and overdriven signals. This pedal's true gem, however, is its Era knob, which serves up everything from '70s midrange warmth to modern metallic punch. The Darkglass Electronics Vintage Microtubes bass preamp pedal - it's what your tone's been missing!